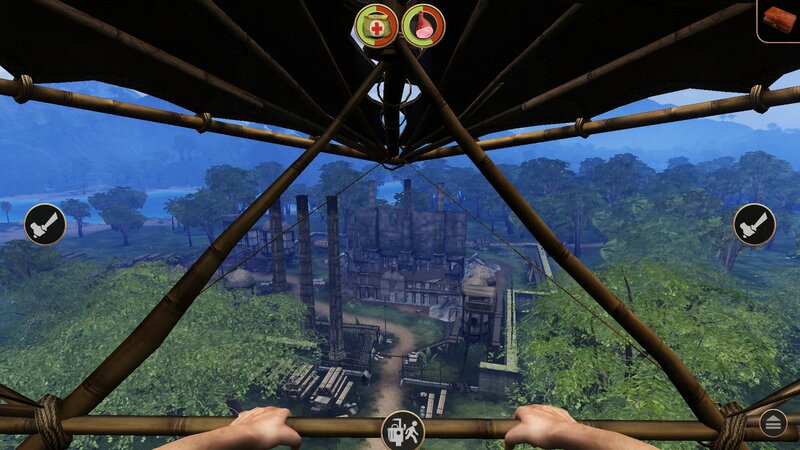 Radiation Island is one of the most complete experiences an iOS gamer can have. It's sold for an extremely low price, offers hours and hours of gameplay, and on top of all that, it's one of the most entertaining adventures you can have on the mobile front right now. And that's high praise, given the astronomical number of apps available for download. Radiation Island plunks you right in the middle of a mysterious island left over from the 1940s after Japanese soldiers occupied it during that time. There's no real threat around, seemingly, until you notice that there's a zombie with a sword running around and he's after you. Not only do you have to worry about simply feeding yourself and finding shelter, but this zombie running around in this first-person survival title. You'll be tasked with hunting, crafting, and more to ensure your survival, but it's all done in such an intuitive manner that learning to do all these things doesn't feel annoying or cumbersome. There's also a bit of a linear narrative in place that you can work with, which adds another important layer to the game that you don't typically see in these types of games. The end result is an organic display of dynamic gameplay and intriguing plotlines that work together to make Radiation Island great. On top of the actual game itself, things look and feel fantastic. Plus, $2.99 is one heck of a value for the number of hours you'll be able to spend within the confines of this crazy island. Figuring everything out on your own, while still entertaining and an important point of Radiation Island, can be slow and frustrating. There are also parts of the game that are still quite repetitive, despite the multitude of things to do. Because when you get to a later point in the game, you're saddled with portions where you have to continually disable towers, and this is where things slow down. It's still great for bite-sized chunks, but be aware this is one part of the package that you might take issue with. Radiation Island is one of the most value-packed titles on iOS right now, jam-packed with features, things to do, and all wrapped up in a gorgeous package to boot.